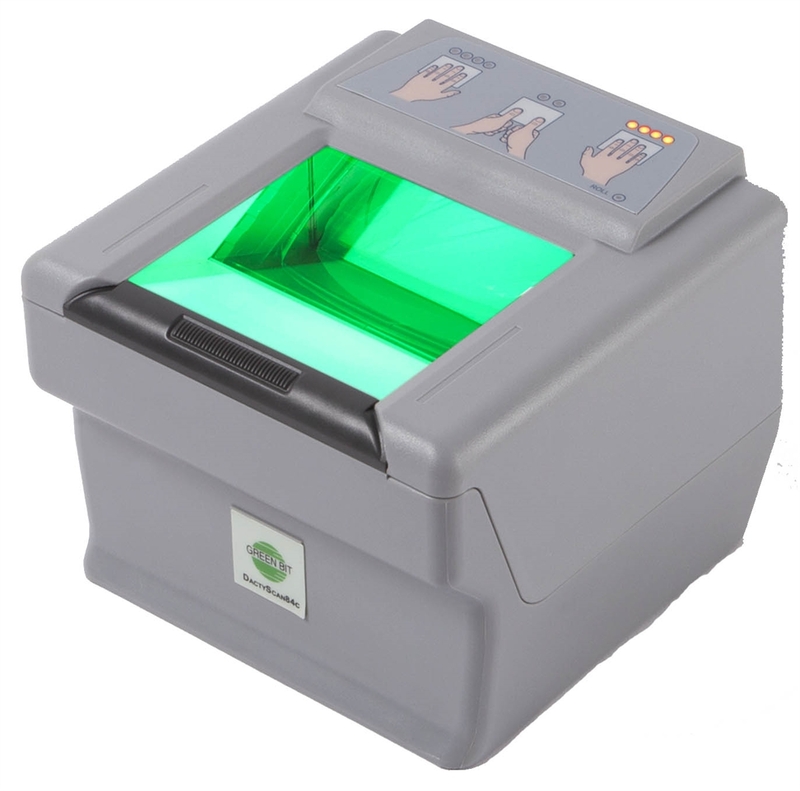 DactyScan84c from Green Bit is an optical live fingerprint reader with large platen. The reader is capable to capture 4-slap and 2 thumbs fingerprints, allowing to collect all 10 fingerprints using 4+4+2 method. Also the DactyScan84c can capture single rolled and flat fingerprints.